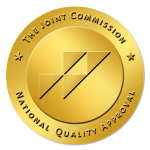 The Joint Commission, an independent, not-for-profit organization accredits over 20,000 healthcare facilities in the U.S. Joint Commission accreditation is recognized nationwide as a symbol of quality. The Joint Commission accredits Lionrock’s online programs. Only 7% of addiction treatment programs are accredited by the Joint Commission, among them are Hazelden/Betty Ford Center, The Meadows, and Foundations Recovery Network. View Lionrock’s Joint Commission Accreditation. View Lionrock’s Accredited Telehealth Locations. Communicate with the Joint Commission about Lionrock. The California Department of Health Care Services certifies Lionrock’s California outpatient program. Both the Joint Commission and the California DHCS require a treatment program to pass an extensive audit of all policies and procedures to ensure the highest quality standards. The Texas Department of State Health Services licenses Lionrock’s Texas outpatient program. 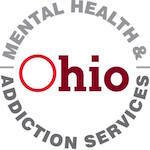 The Ohio Department of Mental Health & Addiction Services certifies Lionrock’s Ohio outpatient program.